✅ Trip Verified | Tokyo to Zurich. For a 11 hour flight we were greatly disappointed with the comfort of the aircraft. The seats were hard and stiff. When the passenger in front of you would lower their seat the top of the seat would literally be so close making it impossible to reach under the seat or use the folding table comfortably or even to stand up and walk of your seat. The seats were so close together that half of the time passenger next to me would lean on over my seat. During the trip I felt pressed down on all sides and didn’t have a lot of room to relax and I’m a very tiny person. The food was good and the movie options was nice but would not fly this airline again. "problem with her video system"
✅ Trip Verified | I took a morning flight from Zurich to Tel Aviv, a modern Boeing 777 with personal video on every seat, comfortable. The planed departed on time and everything made me a good impression at the beginning. They didn't use the air conditioner at the beginning when people go into the plane and despite the cold weather outside is really hot and suffocating inside. During the flight I ask for a tea, the flight attendant told me Its going to take a lot of time because they are serving cold drinks, at the end she did not bring the Tea. We were sitting with the meals after we finished for more than 45 minutes. At the end I took two finished meals with myself to the galley and one of the flight attendants said to return to the sitting place with the meals and wait for the recollection of the meals. My daughter had a problem with her video system, the flight attendant told me she will solve the problem but she did not solve anything and my daughter could not use the system. "ask to refund for assigned seat"
✅ Trip Verified | As my daughter is getting ready for a language immersion program this summer, travelling for her first time internationally, on her own I made a change to her itinerary with United, as we used United to book her flights of which part are with Swiss Air. To confirm seats Swiss charges a fee, which was paid for all (4) Swiss legs of the trip. The UA change eliminated one of the legs to reduce her number of stop overs. 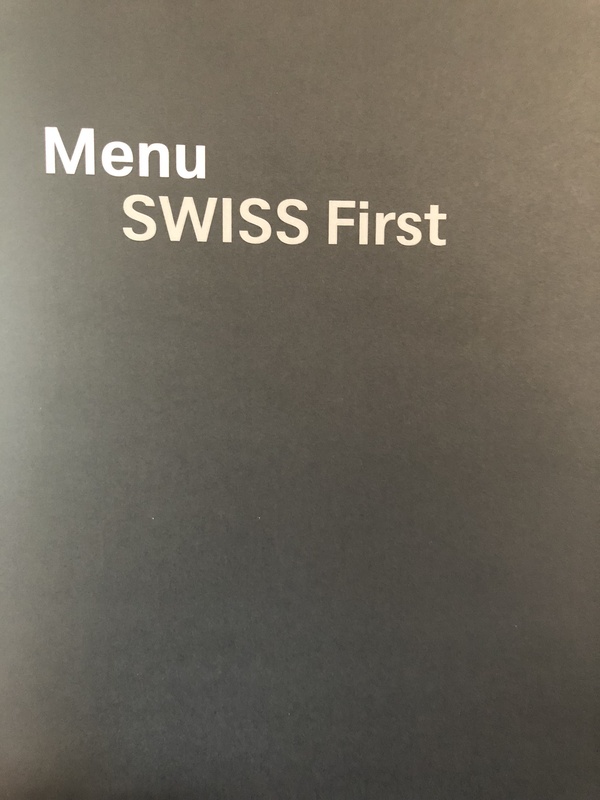 United helped us with this change, when contacting Swiss to ask to refund the $50 for the assigned seat, the agent 1st said that that was out of policy and refused to allow me to speak to a supervisor. I am stuck paying $50 for a seat on a flight which we are no longer using that is almost 3 months out? 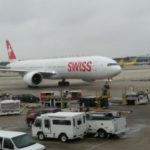 As I have been booking flights for my entire family to spend time in Europe, the booking experience and this event with Swiss is by far the worst of the experiences I Have been encountering. It's not about $50, it's about doing the right thing for the consumer. ✅ Trip Verified | Brussels to Bangkok via Zurich. Overall a good flight, with good, clean aircraft and friendly, courteous and professional service. The flight was delayed, by 30 minutes, from Brussels due to 'late incoming aircraft' (the classic excuse from airlines). This made transfer a rush at Zurich and Swiss did nothing to help. The entertainment on-board was good, with a bunch of recent films and series available to keep us entertained. The only issue was the time it took the crew to serve the meals. It took them, literally, more than 2 hours to serve dinner. If it was a restaurant, we would have left. however, as we had good entertainment, it was not that bad. Other than that, a good flight. "5 kg more luggage than allowed"
✅ Trip Verified | Stuttgart to São Paulo via Zurich. I know it's my fault to have 5 kg more luggage than allowed however I am extremely unsatisfied with the cost for 5 kg extra - 150 euros for 5 kg extra. I decided to pay. I could agreed with 50 euros, but 150 euros is a huge exploration. ✅ Trip Verified | London to Moscow via Zurich. Poor customer service. Booked the flight back in Feb for trip to Russia. 20 days before the flight, I have been notified there is a change of schedule just in email, as the original plan has been cancelled. The new schedule does not fit into my plan so have to cancel it, waste the money on hotels, local bookings etc While I do understand these things happen for airline, when contact Swiss, I have been told it will take them 4 weeks to process the refund in the form of voucher. Excuse me, are you serious! You change the flight and took the money immediately when booking, then when refund it takes 4 weeks to give me your voucher! ✅ Trip Verified | Tel Aviv to Zurich. Baggage didn't arrive. They say they will send it later. I don't have a coat now, and it is snowing outside. No compensation, no support. Tried to contact their costumer support many times, no answer, no help. ✅ Trip Verified | Zurich to Sao Paulo. Just a marvelous time, from the smile at check-in, departure on time, delicious new menu with very original dishes, great wines, great seats (14D), plus a large choice of movies, in many languages. A constant attention form the crew, including toilet cleanliness. LX crew are always more smiley. As I suspected rows 14 and 15 are much quieter than others. Mystery of B777-300 acoustics. 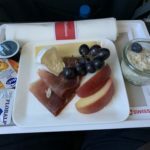 "I wasn’t asking for a lot"
✅ Trip Verified | Zurich to Barcelona with Swiss Airlines! The pilot removed a drunk passenger and then we were rerouted due to air controller strike in France. None of that was their fault. However, my connecting flight was leaving at 3.20pm. I was supposed to have a 2 hr layover but since we were late I only had 20 min to get to my gate. I asked the flight attendants if I could be let off first to make my connection. They said ‘no’ and I missed my flight and had to cancel that entire leg of my trip. I wasn’t asking for a lot. I’ve seen that done dozens of times. Swiss Air just didn’t care. Can’t accommodate customers with the simplest of requests. I will never fly again. ✅ Trip Verified | Moscow to Miami via Zurich. It's higher than normal -good. The flight starts at Moscow Domodedovo Airport, most common airport for foreign airlines in Russia. It is not worst airport, but not my favorite (it's Sheremetyevo SVO). 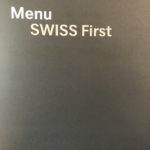 Airport has some lounges, and couple of Star Alliance lounges - Lufthansa, Austrian and Swiss, if you fly Swiss, you can only use their lounge. The lounge is really small, few places to seat, and nothing special. A320 has European Business Class, so it's Economy, but the middle seat is empty. I dislike that type of Business Class, but the service onboard a little corrected a situation. The crew was very friendly and nice, food was great and they also have Swiss chocolate for any class onboard. If you need a blanket or a pillow you need to ask the crew. 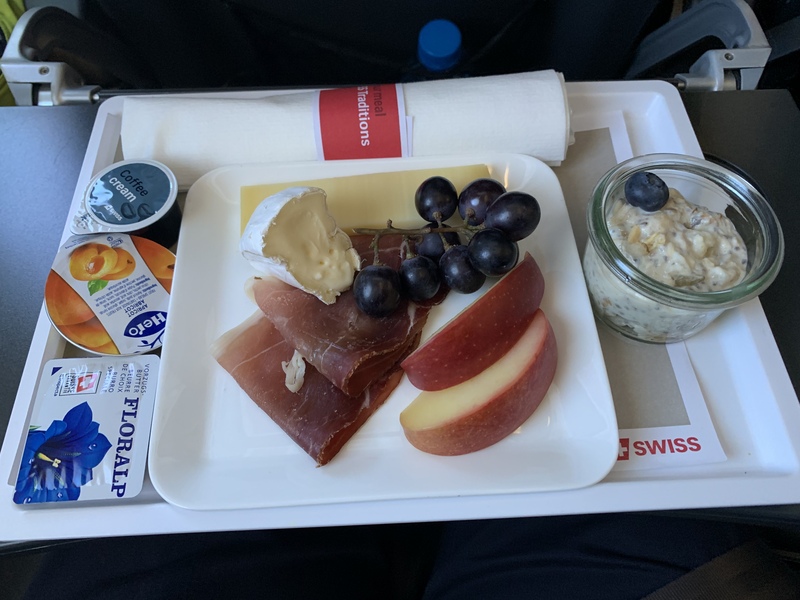 The flight was great, than we had a 2-hours stopover in Zurich, the airport is really great as a Swiss Business Class Lounge, after 2 hours, we board A330, the plane was 6,5 years old. And business class on this type of aircraft was also good, but he seats are too close to each other, it is little bit uncomfortable to access to aisle but it's cosy. The seats converts to the full-flat bed and it's comfortable to sleep on. Crew was good, but not more. Food was very delicious, and they also provide some Swiss chocolate and Swiss ice cream - Movenpick which is one of the best in my opinion. Swiss provide big fluffy pillow and big blanket which is great, and standard amenity kit. 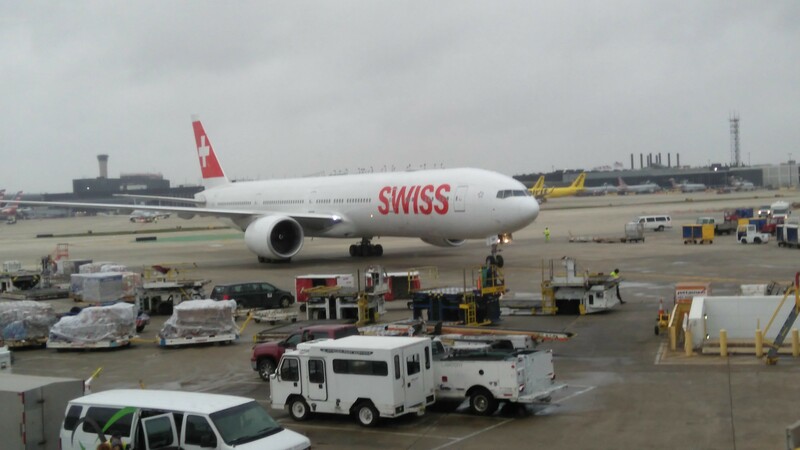 I can recommend flying Swiss!